Introduced by Vox in May 2017, the Adio Series amplifiers were packed with features and value. Two models were offered, the Adio Air GT for guitar and the Adio Air BS for bass guitar. 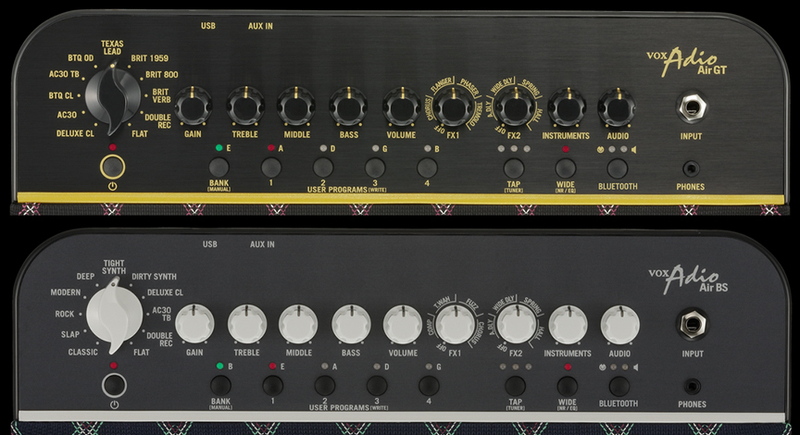 The Adio Air GT and BS were replacements for the discontinued Vox Soundbox Mini. The plastic injection molded plastic cabinet for the Adio Air amp series featured a slanted body design. The cabinet design minimized parallel surfaces, adding strength to the enclosure. 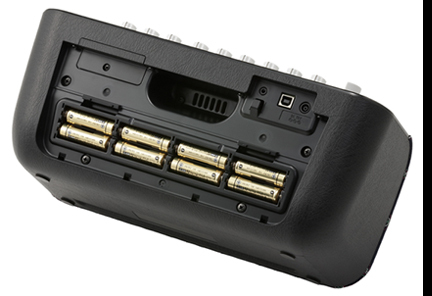 The speakers were enclosed in a separate, internal enclosure inside the Adio Air (see exploded view at left). This inner enclosure was further divided into right and left cavities to improve stereo performance. 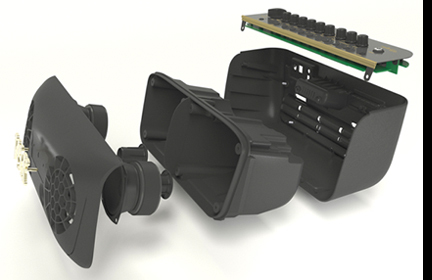 The internal speaker enclosure also included a pair of flared ports to enhance bass response. The Adio Air grill frame was perforated with a honeycomb structure of hexagon shaped holes. These holes allowed sound to pass freely and without restriction while providing maximum protection for the speakers. The Adio Air GT and BS both included a Type B USB interface that allowed either amp to be connected to a computer. 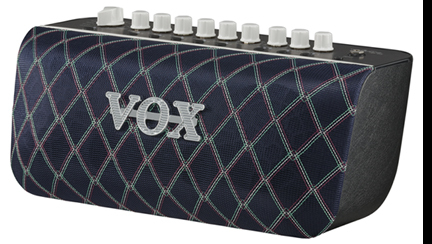 Vox bundled two software programs with the Adio, Vox Tone Room and Jamvox III. 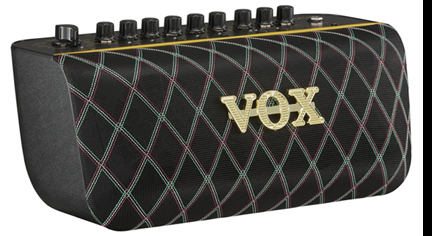 The Vox Tone Room program expanded the models and effects available in the Adio Air GT and BS. The Jamvox III program was a learning aid that will either cancel or emphasize a specific part from an existing mp3 recording.